Oscar Futures: Can a 7-Year-Old Actress Get Nominated? Oscar Futures: Can a 7-Year-Old Actress Get Nominated This Year? 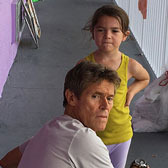 In an awards season stacked with big tentpoles like Dunkirk and Blade Runner 2049, The Florida Project is perhaps the smallest contender, but the passion it evokes from audiences should not be underestimated. Our critic Emily Yoshida called the film “near-perfect,” and I’ve heard from many who deem it their favorite of the year so far. Can this movie about people living on the fringes in an Orlando motel crack the Best Picture race? 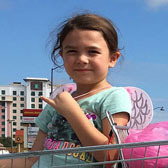 I have The Florida Project just outside my predicted lineup right now: Though it’s been compared to Beasts of the Southern Wild, which managed multiple Oscar nominations, that film had a conventional hero’s journey at its core and The Florida Project is more episodic, attitudinal, and delightfully bratty. If it continues to amass passionate fans, though, watch out. The summer sleeper, directed by Hell or High Water writer Taylor Sheridan, has now outgrossed that Best Picture nominee. I was starting to think it had a real shot at Oscar and it still may, but the Weinstein Company has much bigger fish to fry now. 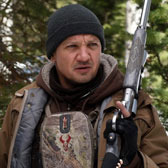 A film like Wind River usually requires a second wave of press at the end of the year, and in the wake of the allegations about Harvey Weinstein, I can’t imagine anyone in their right mind sending Jeremy Renner out to do new interviews promoting his Weinstein-funded sexual-assault drama. Last year’s Best Director lineup came down to an unusually youthful final two in Damien Chazelle and Barry Jenkins. While the 46-year-old Baker is a little bit older, that boyish face and the fresh perspective he would bring to the race would be quite welcome, as this could easily become a category of established veterans. Call Me by Your Name played so rapturously at the New York Film Festival this week that you would have thought it had world-premiered there. Are we all underestimating this instant classic just because a gay-themed film won Best Picture last year? That’s the only reason I can think of for some pundits to leave Guadagnino off their short lists. The film will be big. 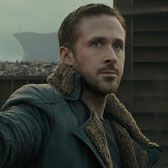 We’ll be comparing Blade Runner 2049 and Dunkirk quite a bit this season — they’re both Warner Bros tentpole films that have overperformed with critics and could be serious Oscar contenders — and they both face the same quandary when it comes to their casts: In films this big, will their actors be overlooked? Good as Gosling is in the film, he mostly plays the stoic. The Best Actor category is very thin this year and if Blade Runner 2049 runs the table, he could get in, but I suspect the real action will be with Gosling’s co-star. More on that, in a bit. This expensive Western was hoping to snag a distributor at Telluride and Toronto, but it didn’t happen until this week. 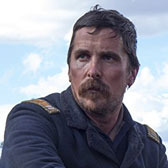 Fledgling label Entertainment Studios Motion Pictures remains an awards-season unknown, but you can never discount how much the Academy worships Christian Bale. If he’s willing to work it, consider him a threat. The trailer for Amazon’s new Woody Allen film had me scratching my head: This is meant to be the studio’s big Best Actress hope, yet the teaser curiously deemphasized Winslet, spending more of its capital on her co-stars Justin Timberlake and Juno Temple. Pretty cinematography, though! It will premiere next week at the New York Film Festival. I thought Mara would be one of this season’s front-runners for playing the title role in the biblical drama Mary Magdalene, but the Weinstein Company pushed that film to Easter and now Mara’s only horse in the race is Una, a stage adaptation in which she confronts the man who took sexual advantage of her as a child. While it’s been respectfully reviewed, the film is likely too small and challenging for an awards bid. Ford’s single Oscar nomination came three decades ago for Witness. 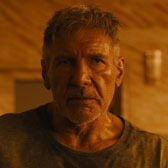 Can he make it back into contention for Blade Runner 2049? Sylvester Stallone managed a similar feat when he revived one of his best-known characters for Creed’s nominated supporting turn two years ago, and now the 75-year-old Ford may employ the same playbook. Working against him: He’s not in as much of the movie as you’d think, and certainly less than Stallone was in Creed. Working for him: This is a golden opportunity to honor one of the biggest movie stars we’ve ever had, and the Academy may not get another chance. It helps, I think, that Ford is handed some of the movie’s more emotional moments and delivers every time. 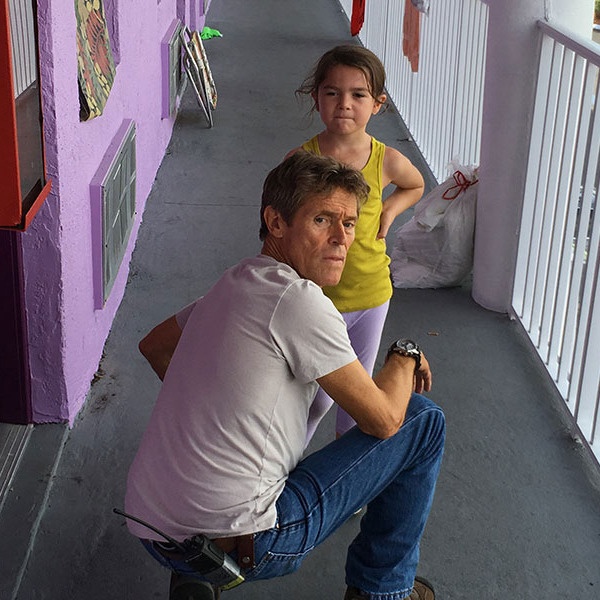 The twice-nominate Dafoe is so likable in The Florida Project as the motel manager trying to keep the peace in a den full of outlandish personalities. 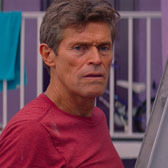 In a way, he’s playing against type: Normally, Dafoe would be your go-to choice for one of those eccentric motel dwellers! And I think that’s what Oscar voters will respond to: Though his character doesn’t have a giant range of things to play, Dafoe himself exhibits range just by playing him. Seven-year-old Prince would be the youngest Oscar nominee ever if she manages to crack this category for her work as an irrepressible sprite in The Florida Project. She’s a total delight in the movie and just as winning offscreen, too. There will be a lot of veteran actresses in contention for Best Supporting Actress, like Lady Bird’s Laurie Metcalf, I, Tonya’s Allison Janney, and Novitiate’s Melissa Leo. Will voters spark to Prince and appreciate her as an actress, not just a winning presence? I hope the focus on Prince leaves some room to push her screen mother Vinaite for consideration, too. This newcomer makes a blazing impression as a negligent yet loving mother, and she struts in front of the camera with a confidence most actors never manage. 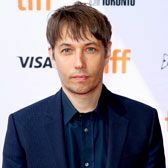 Director Sean Baker found Vinaite on Instagram, and it would be a truly novel thing for her to go from social-media star to Oscar-season ingenue in the span of several months.